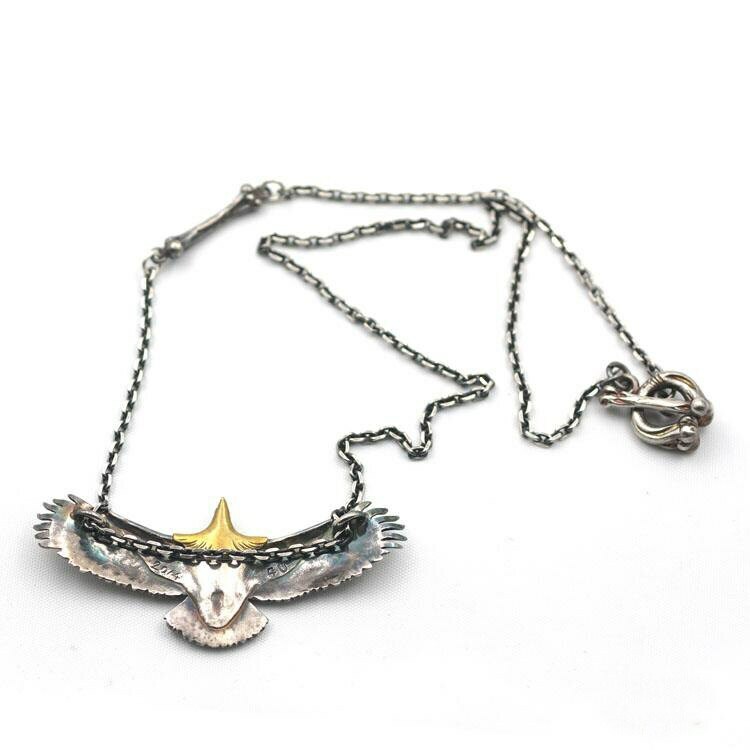 The silver eagle necklace is a beautiful piece of Native American-themed jewelry. 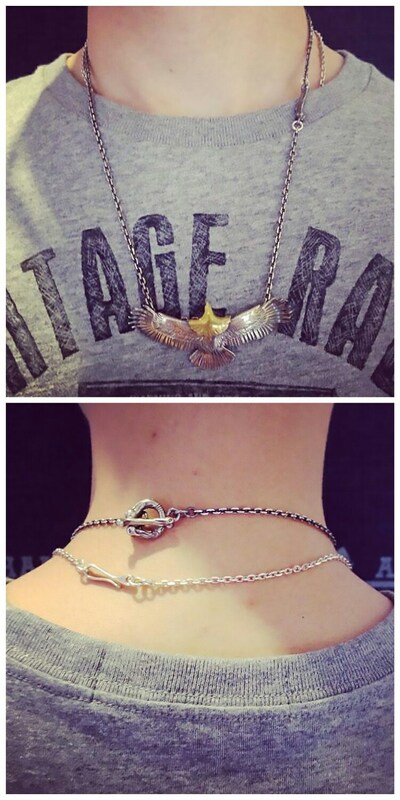 The highlight is the silver eagle pendant, with 18K gold details on its neck and head. It is carved in incredible detail - look at the wings, the gently curving wing tips, the realistic eagle head. There is an old Indian legend about the eagle. As soon as he was born, the eagle fell off a cliff and broke its wings. But the eagles have a strong ability to regenerate and recover. Like the mythical phoenix, the damaged eagle soon recovered its wings and was able to fly and soar the highest of all the birds. 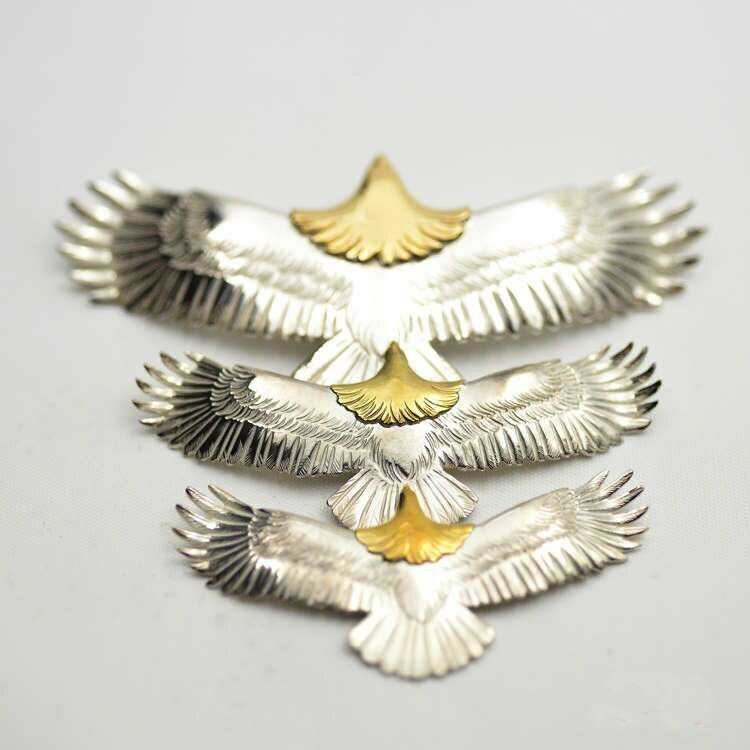 The silver and gold eagle necklace symbolizes this incredible spirit of rebirth and regeneration. The slim silver chain has other charms too - a small silver bone link attached midway between the chain, and the small bones at the ends of the chain, forming the toggle clasp closure for the necklace. 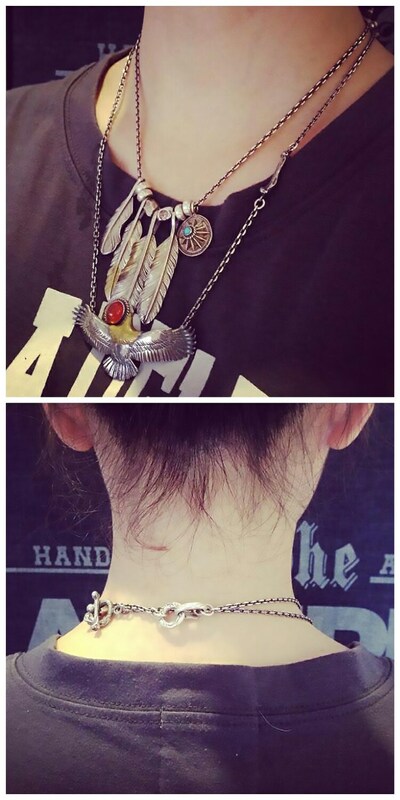 Note: There's a Feather Necklace shown in the model's picture IS NOT Included. Available for purchase separately. 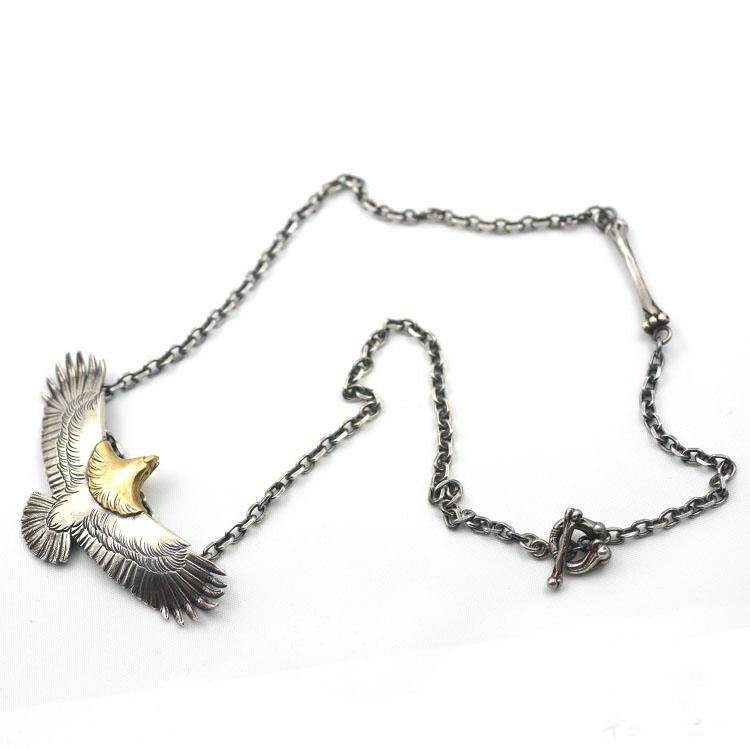 The silver eagle pendant necklace is available in two finishes - the original, shiny silver finish, and an oxidized, vintage finish.